I recently started my spring wine tasting journey. 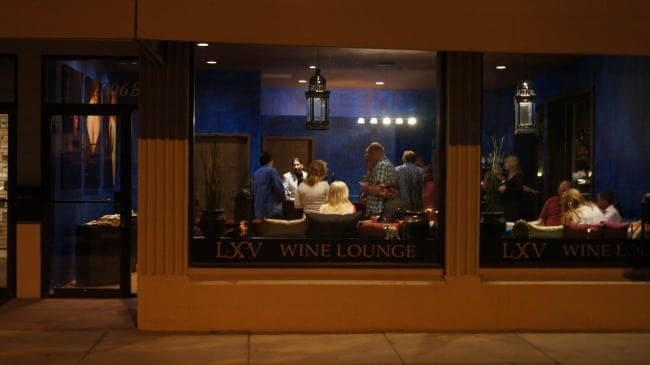 I enjoy touring local wineries in California and the LXV Wine Lounge in Paso Robles is on now my list. 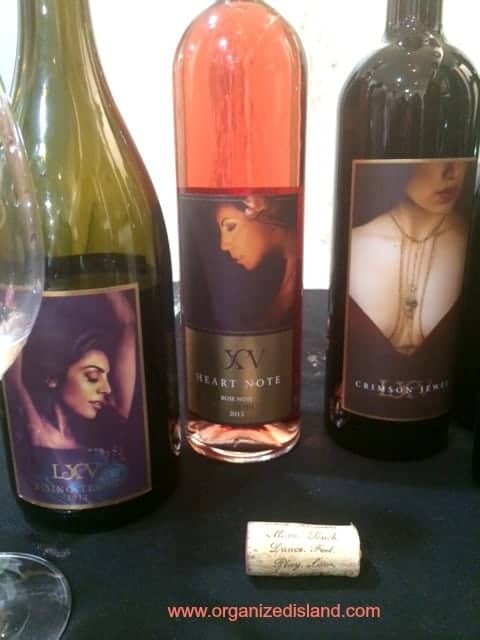 I recently had the opportunity to taste some of the wonderful wines from the LXV winery in a local Laguna Beach art gallery and I was very happy I did. LXV is inspired by the 64 arts of Kama Sutra. Intriguing right? I was curious…I learned more at the tasting that evening. LXV’s tagline is “The 65th Sutra is You”, meaning that it was created and inspired by you, the wine enjoyer. I found their wines flavorful, authentic and sensuous. LXV wines are aged a neutral barrels versus oak barrels so as not to impart the usual oak background, but instead to enhance the wine’s own aroma and flavor. 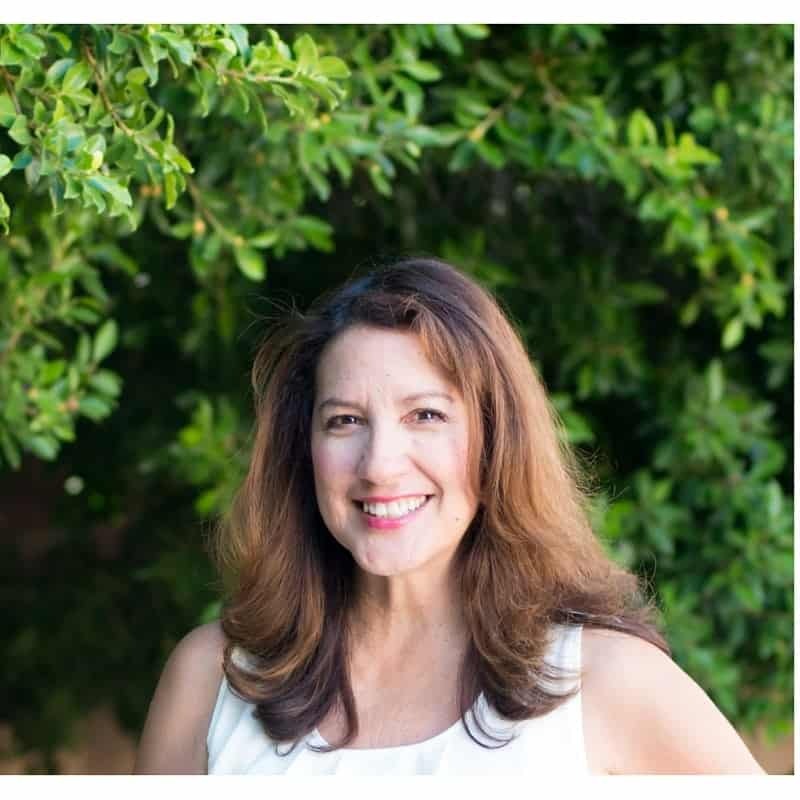 Winemaker Amy Butler, who attended UC Davis and later spent time in Prague and Bourdeaux, refined and cultivated the art of winemaking at several wineries before starting her own vintage. Amy believes that nothing should taste overworked. Her approach to winemaking is to make balanced wine using the best ingredients and time-honored techniques. 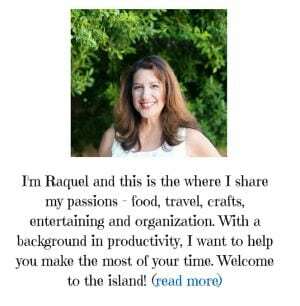 She was recently featured in Wine Enthusiast Magazine as a Rising Star of Paso. Another characteristic of LXV wines is that no two vintages are alike. In addition, each release is created with intention of being paired with particular spices in food. I was able to taste several of their wines and enjoyed each one. The 2012 Viognier Summer Satine Best of Class is a lovely white wine with a fruity and floral aroma. I could tasted hints of melon and apricot. This blend was created to complement exotic pepper blends such as steak or lamb. The 2010 Sangiovese Petit Sirah Crimson Jewel has wonderful flavor. This wine is a complex blend and is full-bodied, velvety and earthy. This vintage is suggested to be paired with lavender and pumpkin spice. Personally, I think it would be great with cheese. The 2012 Grenchae Syrah Tempranillo Rising Tempo is the flagship line of LXV. I could taste the plums and cherries and even a little bit of chocolate all nicely blended. This wine is intended to be paired with Indian dishes or dishes made with nutmeg and cumin. 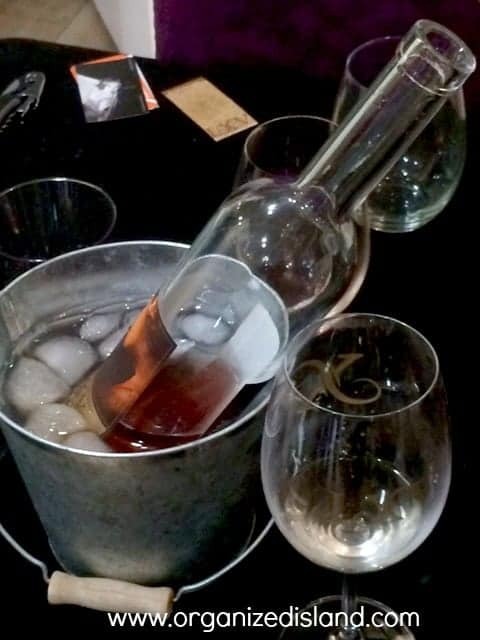 The 2013 Rose Heart Note was a very floral and fruity wine. Created to go with Cinnamon, I felt it was perfect to go with a Brunch or Lunch. I enjoyed are wine tasting at the Orange County Creatives, but I fully intend to visit their tasting room in Paso Robles soon. 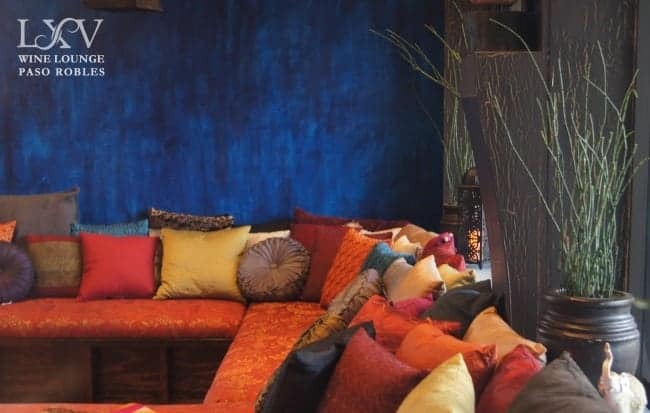 These photos of the lounge were provided by LXV. Doesn’t it look like a great place? 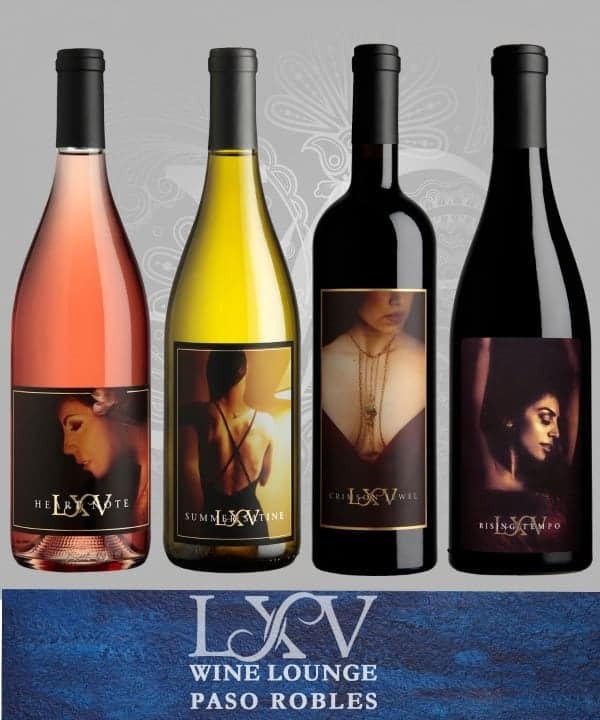 Check out their website at www.lxvwine.com for places you can taste LXV wine. Wines are also available through their website and range from $25 – $55 per bottle. By the way, the wormen pictured on their labels are real people, and artisians in their own right. One is a dancer and another is a jewelry maker. You can follow LXV wines on Facebook and Twitter for more information. For a limited time, LXV is offering a 10% discount on the purchase of the 2012 Rising tempo using the discount code OIFLXV (OIF = Organized Island Fan). Which variety would you want to try? Those sound delicious; especially that Sangiovese. I so wanted to attend that event and now I’m really sorry I missed it. They’re gorgeous! I’m intrigued by the pumpkin spice and lavender. Yes the labels are really gorgeous and the wines taste great! Oh I wish you were there too! We will go tasting together soon – I promise! I loved their perspective! I love wine too, and I am very adventurous trying local wine when we travel. I found your blog on Show stopper Saturday, and I’m so glad I stopped by! I blog about our amazing travels, and hope you will visit, and take a look!